Snapping an image was once a painstaking act. First, there was traditional film camera, which takes a lot of work to capture an image. After you exhausted the roll of film with about two dozen shots, the next step was to head out to a photo shop, where professionals could develop the film into actual printed images. The advent of digital cameras and then, smartphones in the new millennium has turned the photo industry upside down. The digital age allowed images to exist simply on the screen of a computer or smartphone. In fact, smartphones in particular, are now a force since digital cameras have gone by the wayside. Because it is convenient and easy to use, and smartphones allow anyone to take photos anytime, anywhere. Nonetheless, one common complaint of smartphone cameras is the lackluster image quality. It is a problem that devices across the spectrum face, partially due to the circumstances of limited space. Huawei set out to change that stereotype with the advent of the HUAWEI P20 Pro. This state-of-the-art smartphone reinvented the idea of smartphone photography. Among the many landmark features for this advanced camera system, one must point out its claim to be the world's first triple-lens smartphone. That means there are not just one or two lenses. There are a whopping three lenses on this camera system. The triple-lens camera system was born out of a partnership with German lens and camera powerhouse, Leica, a company with more than 100 years of history and experience. The Leica triple-lens camera system makes all the difference and allows the HUAWEI P20 Pro to provide professional quality images, all without the painstaking effort of lugging around heavy camera equipment. In short, the P20 Pro is the envy of professional photographers around the world. How did we get here? Huawei understands how important it is for consumers to be able to take stunning images without the effort. Photographs and videos have come to define modern technology users, who are constantly sharing tidbits of their lives over social media with their friends and families. Let's dive into the features. The camera system captures more light and details from the get-go with 5x Hybrid Zoom and AI-driven features like HUAWEI AIS (AI Image Stabilization). 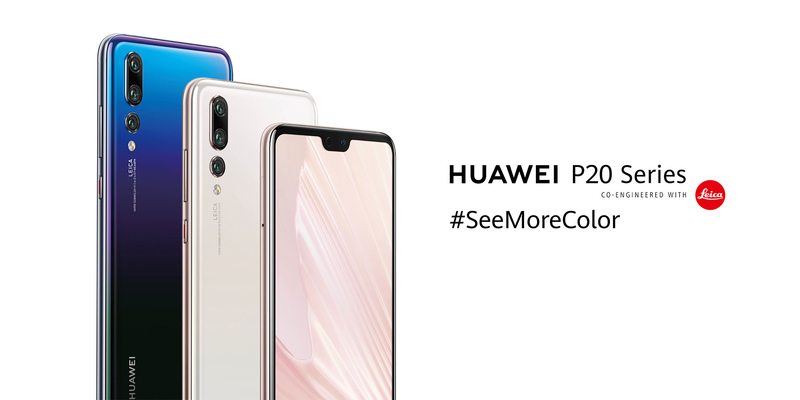 The P20 Pro offers the most pixel count on a smartphone available – comprised of a 40MP RGB sensor, a 20MP monochrome sensor and an 8MP sensor with telephoto lens. The highly sensitive image sensor is able to capture low-light photos with up to an unprecedented ISO of 102400. Furthermore, the AI capability identifies 19 scenarios and selects photography modes and camera settings to deliver the best picture quality. The 4D predictive focus is the cherry on top, allowing the camera to predict how objects will move and then focus on the subject in real-time. The world's first triple-lens camera is a serious contender in the photography universe and will have you re-think the smartphone camera stereotypes of yesteryear. The HUAWEI P20 Pro will simply make you fall back in love with photography.